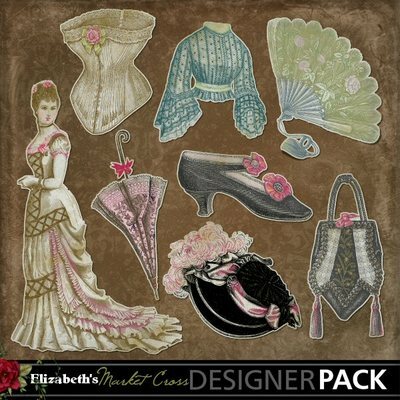 Victorian vintage/heritage images as stickers with shadows. Eight in all includes Victorian lady, hat, shoe, purse/handbag, umbrella, corset, blouse, and fan. Faded or muted colors add to the vintage look.